World Backup Day is an independent initiative to help people learn about the increasing role of data in our lives and the importance of regular backups. Don’t be an April Fool – Backup your data today and be prepared! The amount of data we own is increasing, be that private data or confidential business data. People often do not correctly protect this data by backing it up as that process itself is time-consuming. This applies to companies too. 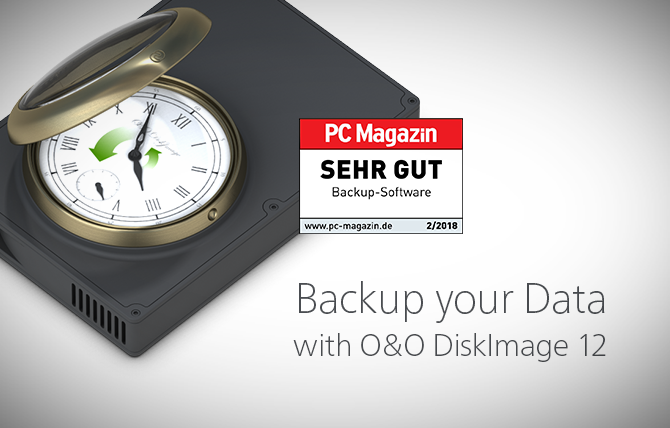 That is why O&O Software has substantially increased the speed of data backups in the new version 12 of O&O DiskImage! A backup means you can restore old files, applications or an entire PC when something goes wrong, allowing you to turn back the clock any time you need to!